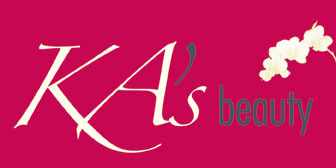 Ka's is formed by Kerryann who trained as a beauty therapist at the prestigious number one health and beauty college, Champneys in 1990. Together with senior beauty therapists Sophie & Abigail they have over 40 years experience, and can therefore offer fantastic advice and deliver outstanding service. A perfect place to soothe away the stresses of the day, although we are in the centre of Norwich the Salon is tranquil and inviting. We also have a dual treatment room ideal for making your visit a social pampering occasion with a friend, loved one or someone special. We offer luxurious packages for special treats and beauty essentials to help you look & feel great.